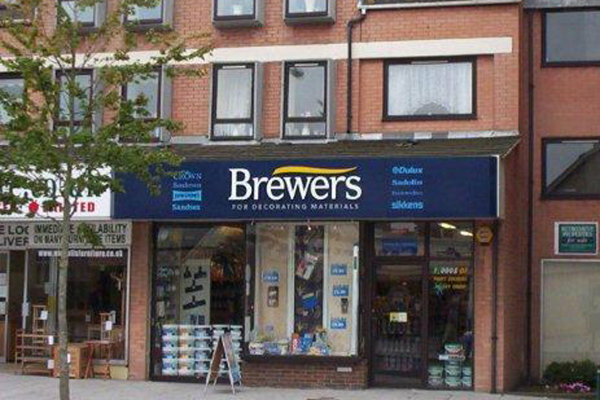 Our Brewers Decorator Centre in New Milton is an invaluable supplier to trade and retail customers from throughout the southern half of the New Forest. We care that we’re part of a strong local community, building valuable relationships. We put a strong emphasis on colour, offering lots of reference material and dedicated displays themed by designer and trade brands. We also have protective coatings expertise in specialist paints. From the East when travelling via Ashley turn right at the Town Hall traffic lights. There is free parking in the community car park behind Morrison’s. Walk through onto Station Road. We are to your right, immediately opposite Barclay’s Bank.